A skull tattoo is a favorite to most men. 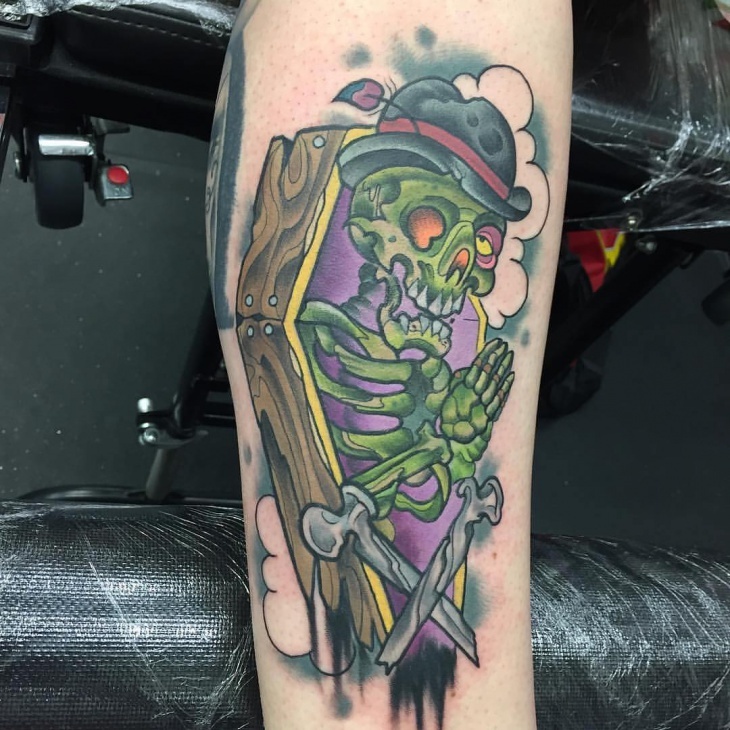 While skull symbols get their inspiration from pirates of the 18th century; tattoo artists continue to use their creativity by incorporating other features which give this ink art a unique symbolic meaning. Even though black skull tattoos with thick line shadings look scary, adding a flower gives it a cute look which is suitable for ladies. In this list, we have different skull tattoo designs to suit everyone’s preference. Do you prefer tattoos with a symbolic cultural meaning? Or are you looking for a tattoo that honors a departed loved one? 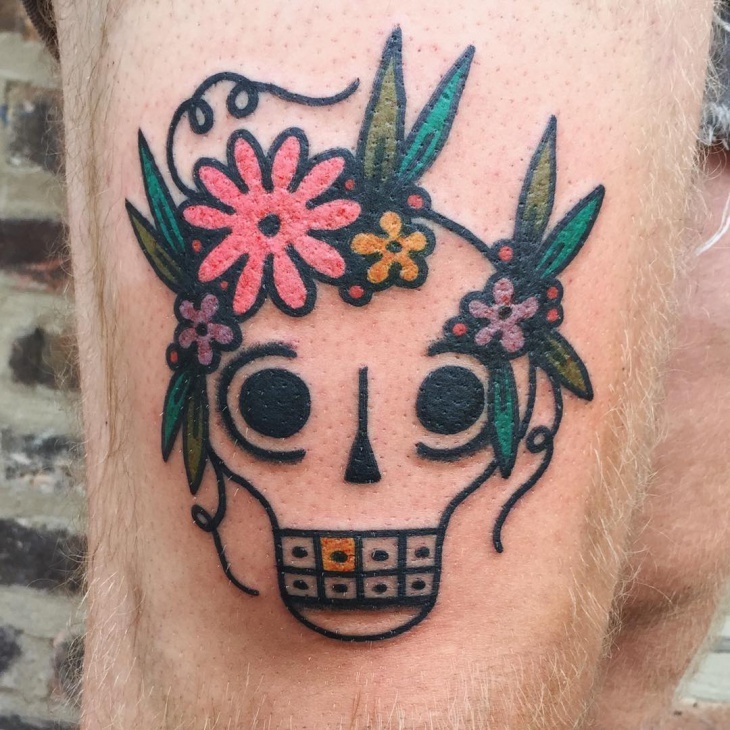 Then go for sugar skull tattoo designs. Popular in Mexican culture, a sugar skull is an important part of celebrating the Day of the Dead which is on 2nd November. 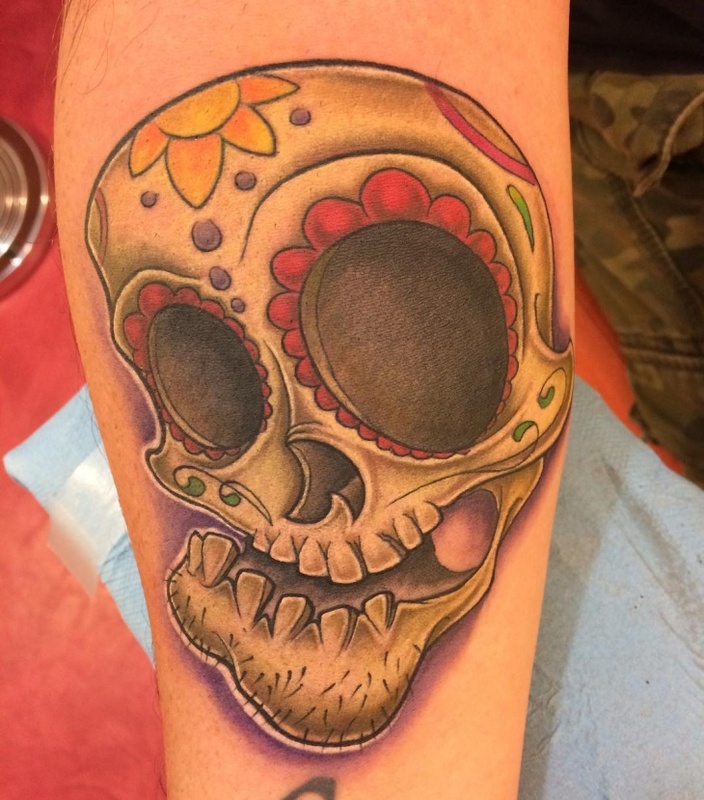 Even though eye-catching, evil skull tattoo designs often elicit negative reviews. 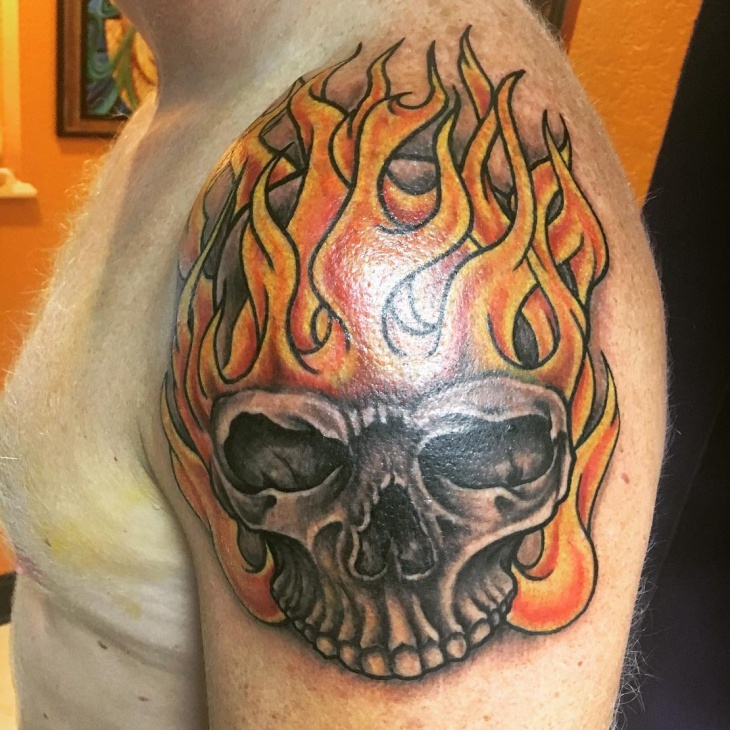 Suitable for biker groups, gangster attitude or people with rebellious traits, this skull tattoo portrays death, power or a difficult phase in life. 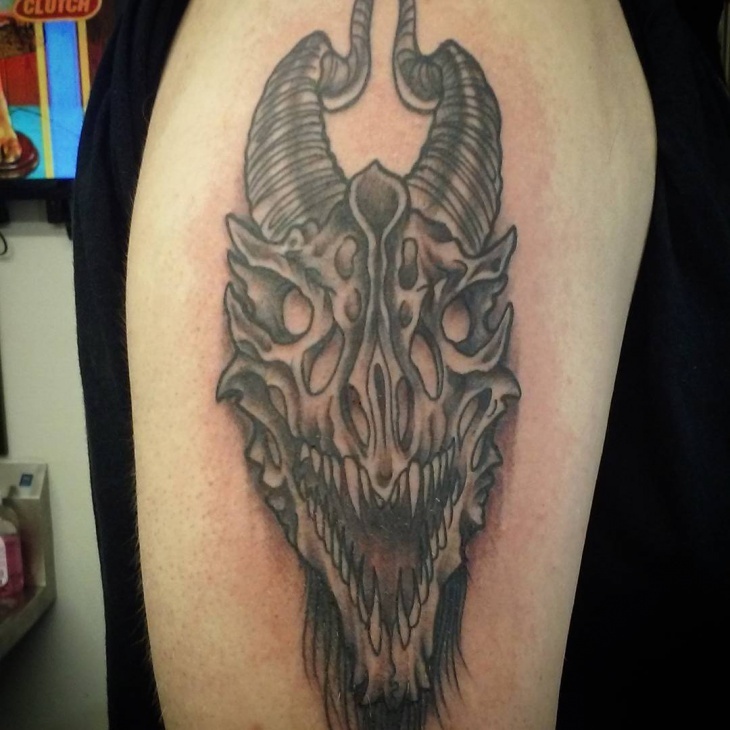 If you love living on the edge through a dangerous life, then evil skull tats are for you. 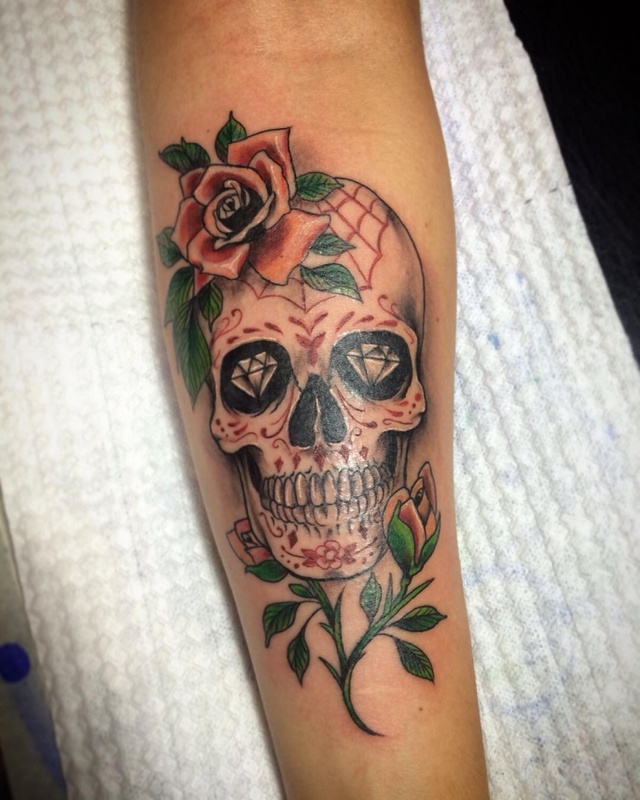 Skull tattoo can look scary however adding a rose gives it a soft look. 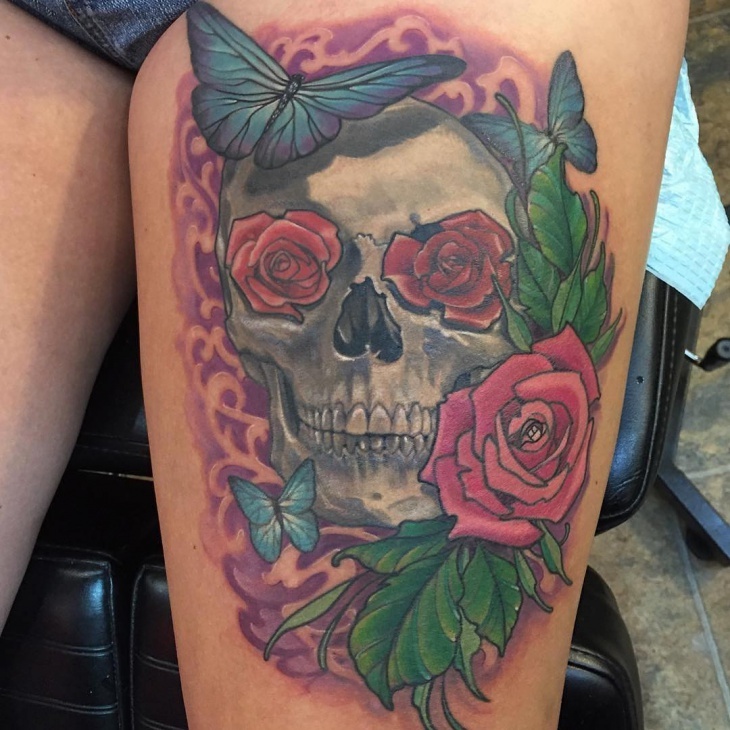 Adding a vibrant colored rose gives a skull a feminine touch making this tattoo perfect for girls. Men can also incorporate a rose in their skull tattoo to show rebirth or the beginning of a new chapter. 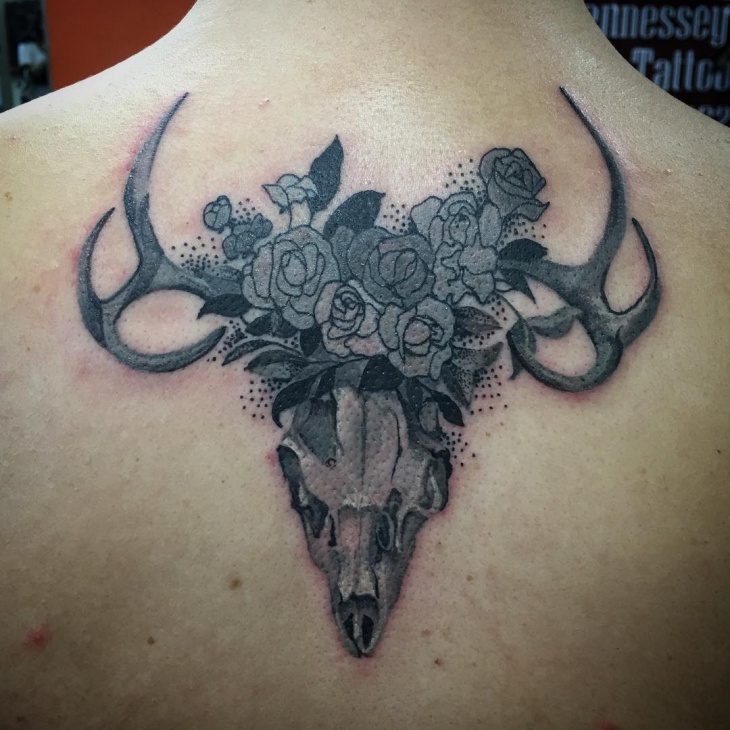 A deer skull tattoo is a favorite for hunters who love taking this graceful animal as their trophy. With symbolic meanings such as longevity, death, rebirth and strength, most men go for a design where the antlers are straight up. You can also opt for this tattoo to depict your admiration for a deer. 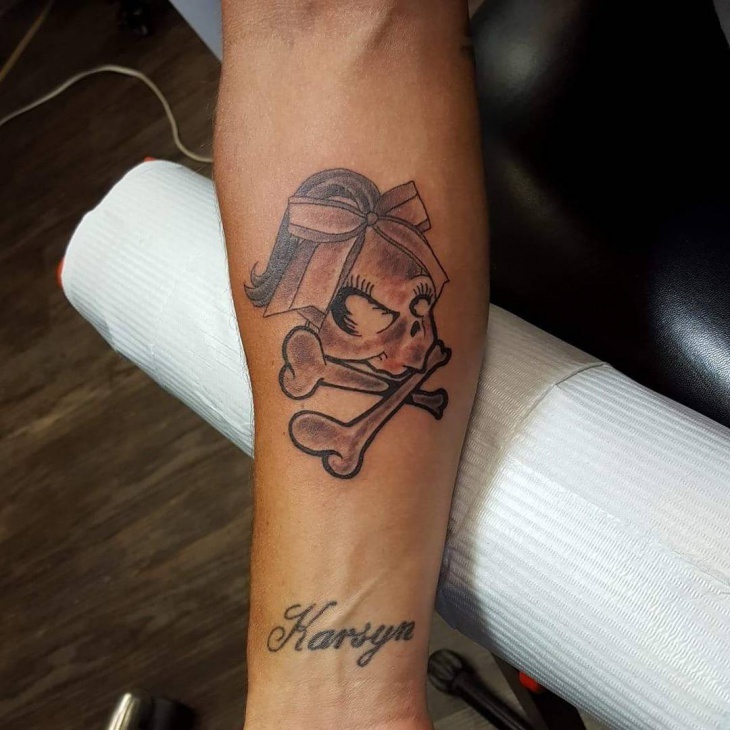 While skull tattoos often depict masculinity, ladies of all ages will still look attractive with girly skull tattoo designs. 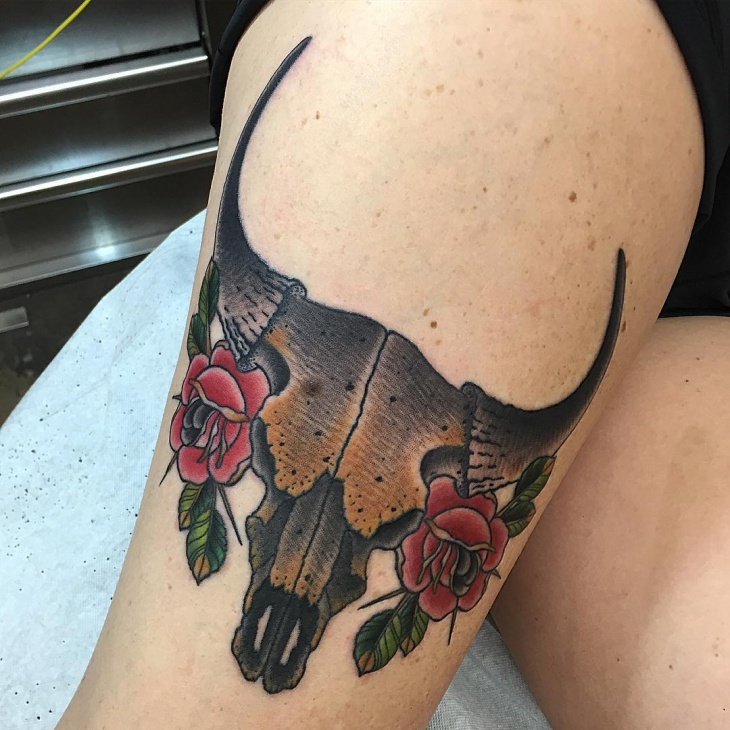 Women who prefer a feminine tattoo yet want to include a skull can incorporate vibrant flowers such as sunflowers, a bright red rose or colored bows. 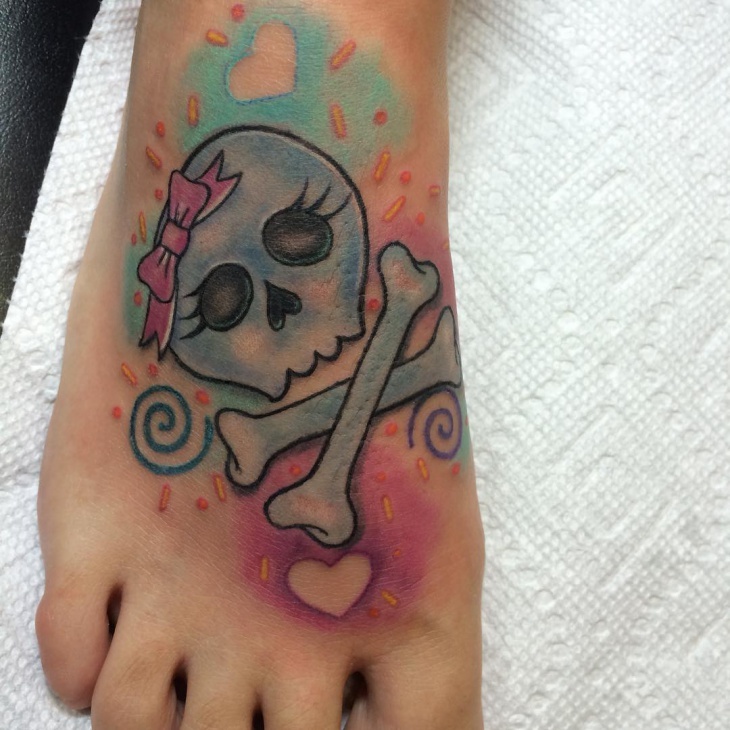 Girly skull tattoos can also include stars or pink butterfly designs. 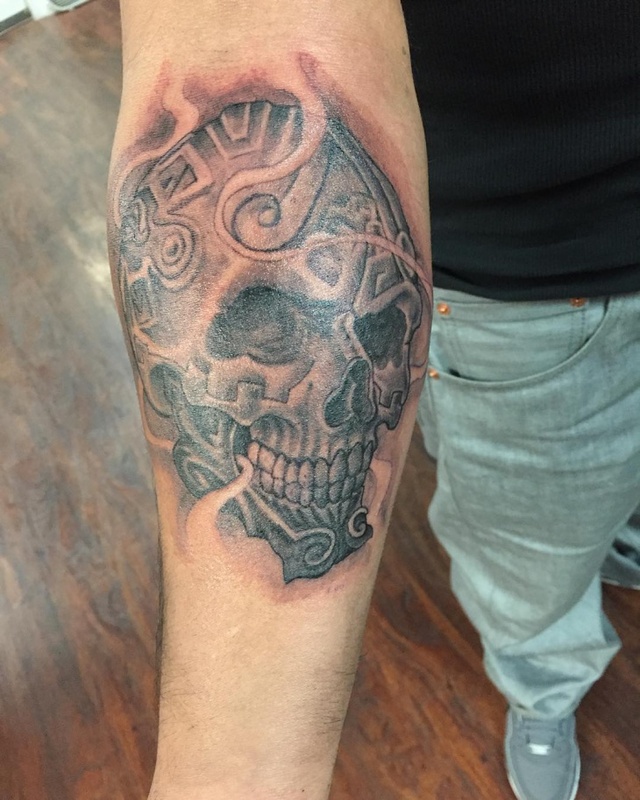 Tribal skull tattoo is often done in black ink and includes bold line shadings. This design is a favorite for men who need to depict bravery, strength, power or ability to defend themselves. 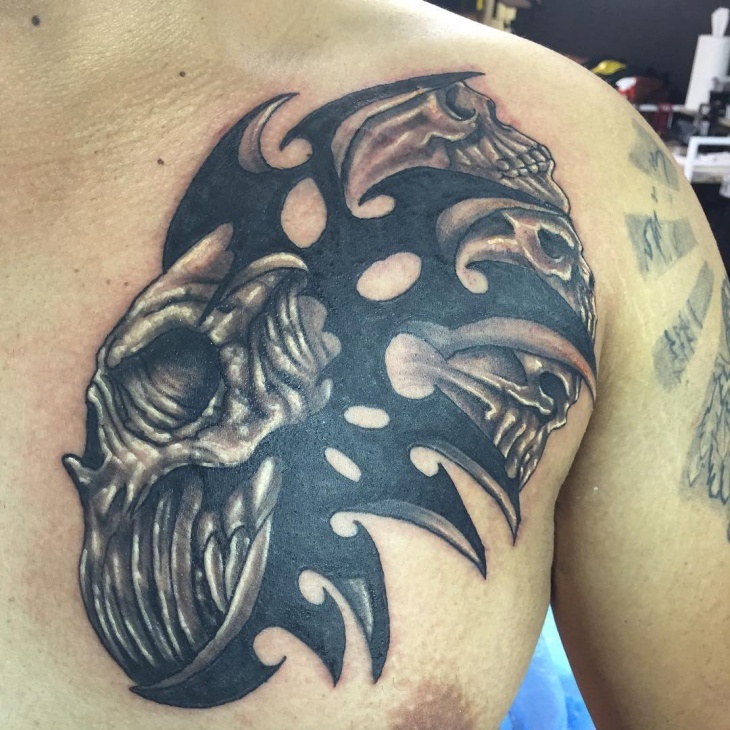 Whether done on the sleeves, chest or neck, a well done tribal skull tattoo will show masculinity. 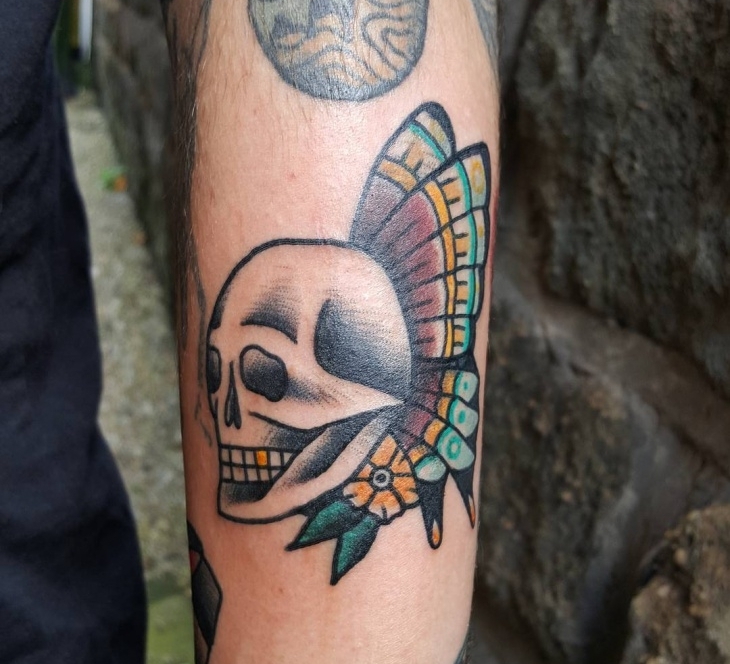 Aztec skull tattoo designs get their inspiration from Mesoamerican warriors who used to get this type of tattoo to scare away their enemies. It is associated with death and immense power hence popular with men. 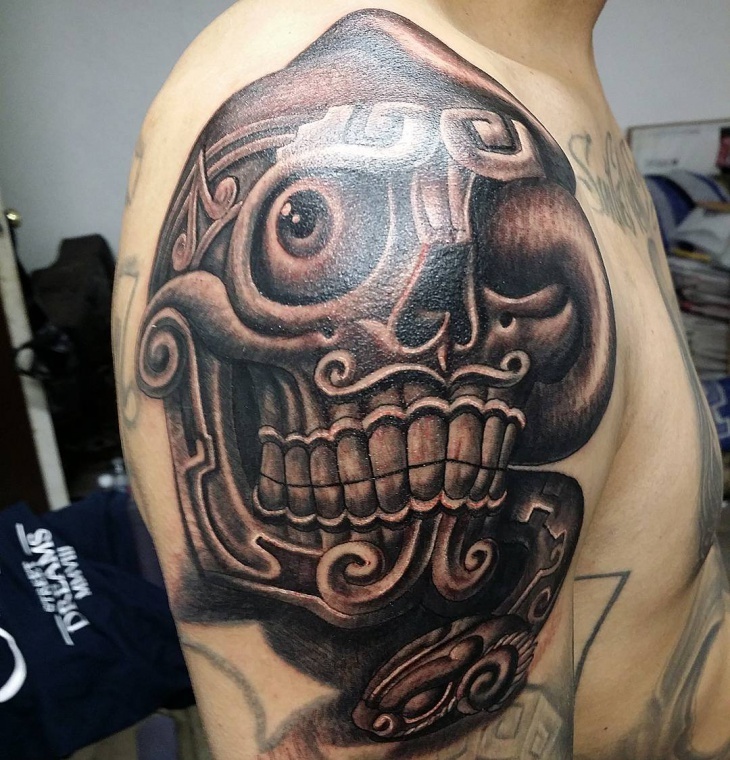 Since the Aztec style of tattooing is distinctive and features various shapes, you will stand out with this tattoo. Suitable for ladies who prefer a gothic lifestyle, combining a skull and a butterfly creates a design that is both daring and feminine. 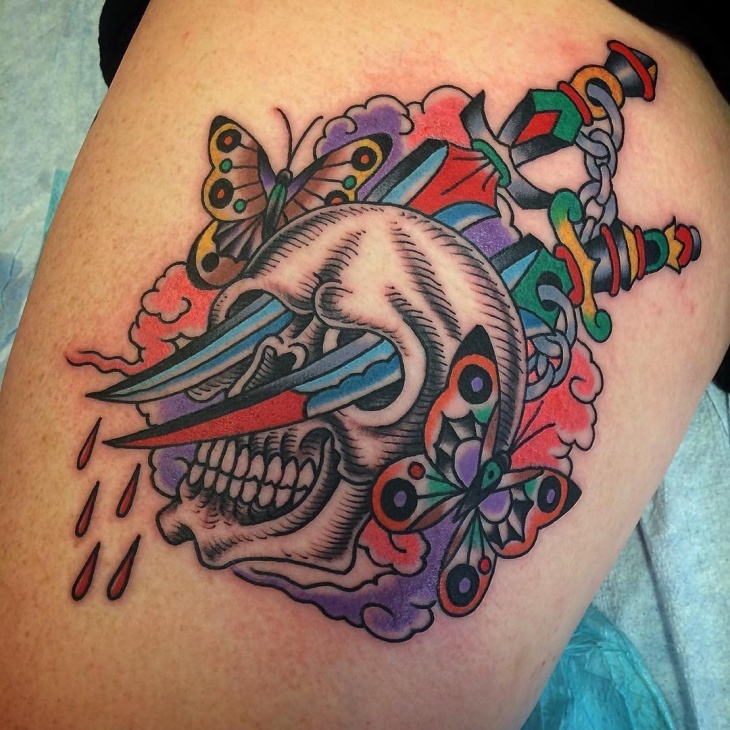 Even though it is girly, these tattoo designs show fearlessness. While there are many vibrant colors of butterflies, choose one that complements your skin tone and tells your life story. Vikings are one of the most interesting parts of Celtic history and are known for their brave characteristics. 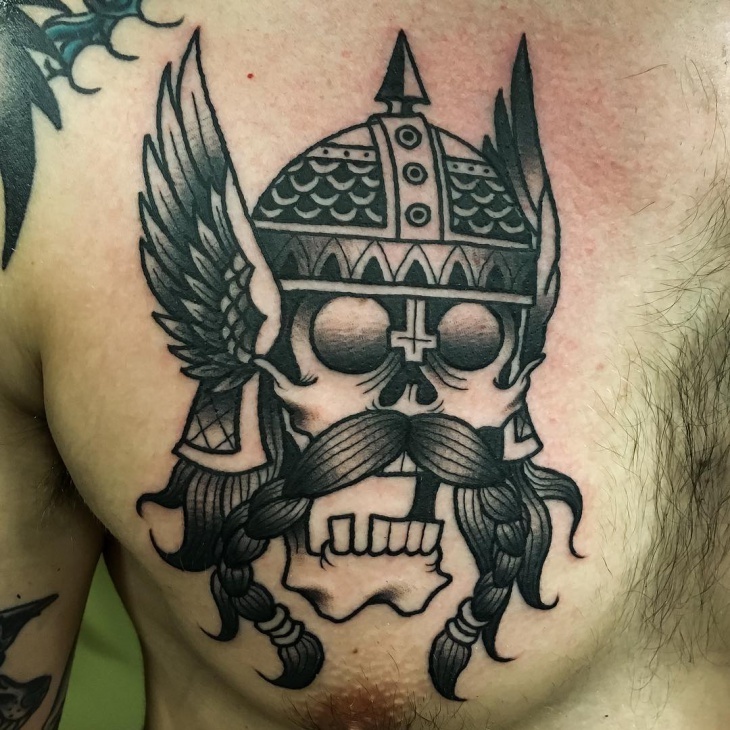 Combining Viking elements with a skull portray a daring attitude, the courage of concurring death, relentless and bravery. 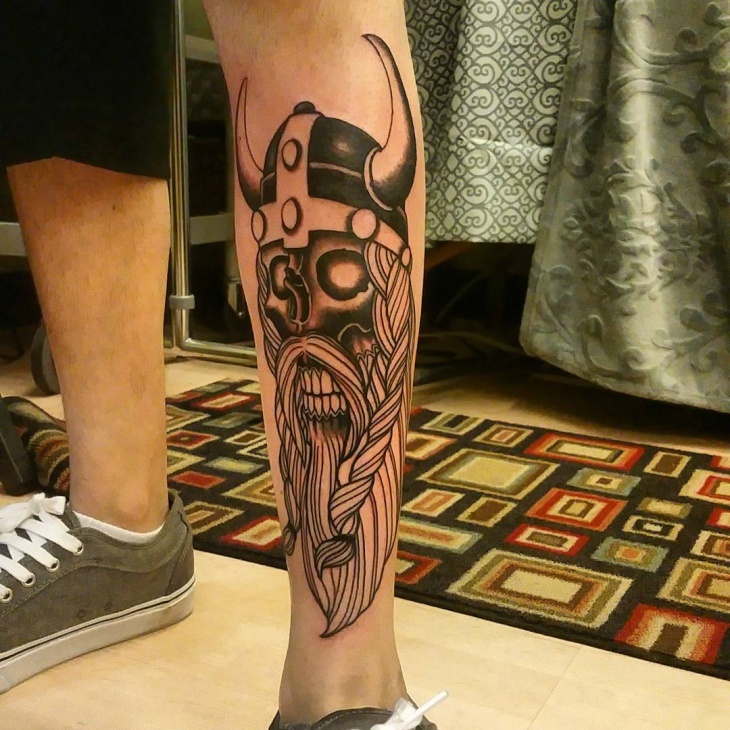 The most attractive design is where you give a skull tattoo a Viking crown or face. A skull was a powerful emblem for ancient Celts with symbolic meanings such as divinity, unchanging, a gateway to the soul and power. 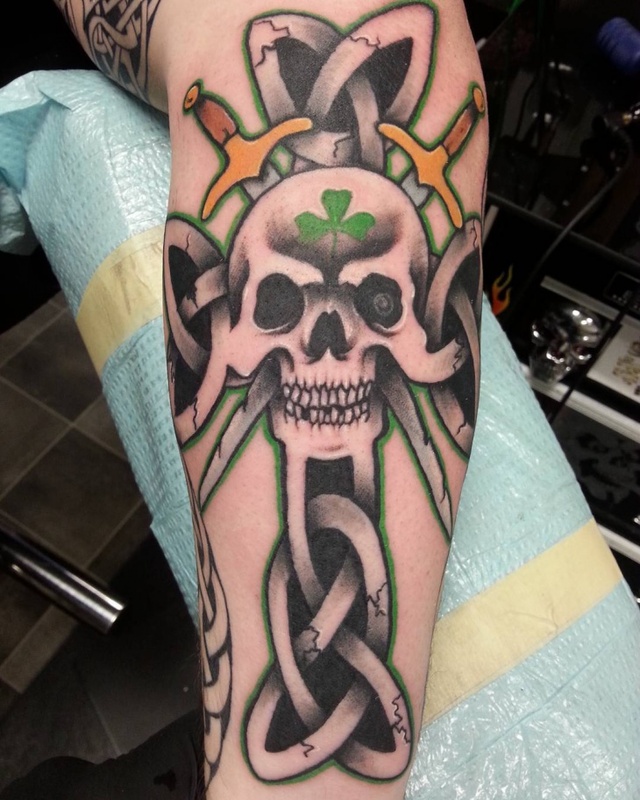 The various openings of the Celtic skull tattoo design such as the nose, eyes, and mouth showcase rebirth or a new perspective. The circular shape of the skull gives it a Celtic symbolic meaning. 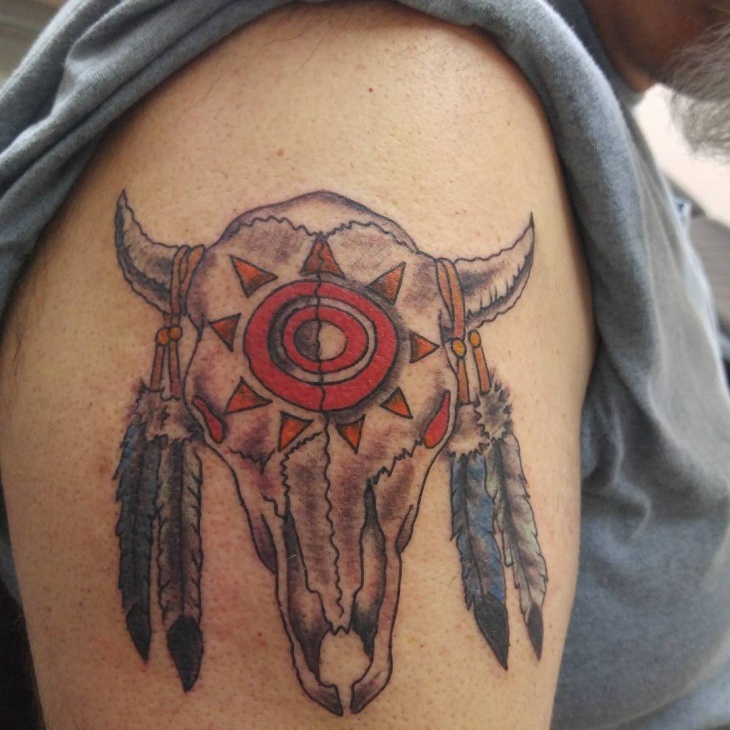 Ancient cultures such as Mexico and Native Americans view a bull skull tattoo as a symbol of agility, courage and ability to overcome any tough task. 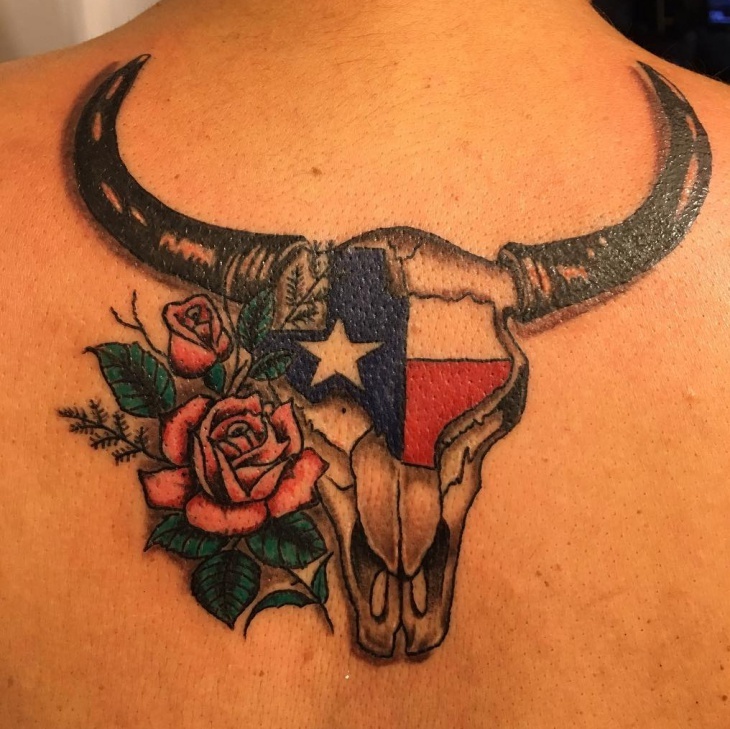 Suitable for individuals with a Taurus zodiac sign, men can opt to get this tattoo in a black or gray ink color while women can incorporate other vibrant colors. 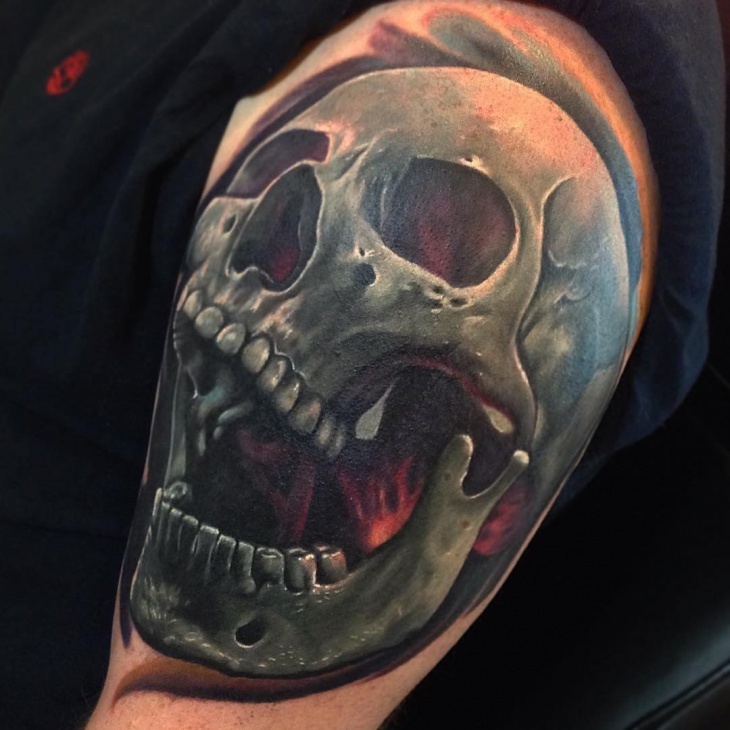 The best way to make your skull tattoo stand out is to go for a 3D effect. 3D works to vividly show that you have changed your life towards a more positive direction. 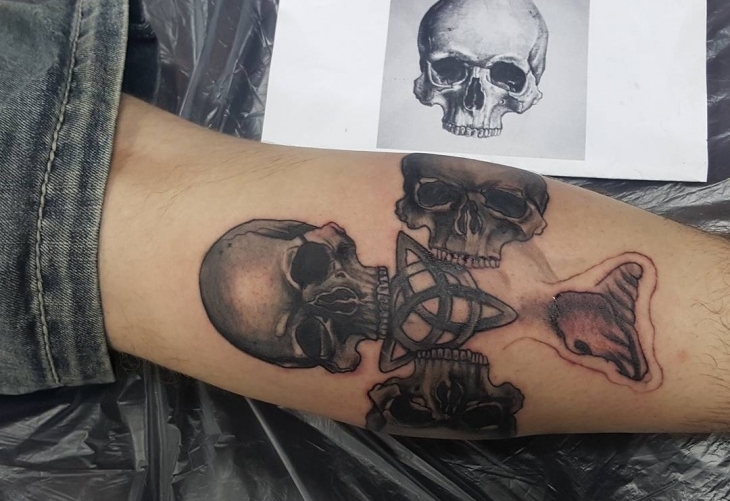 You can even include other symbols that that will make your 3D skull tattoo relevant to you. 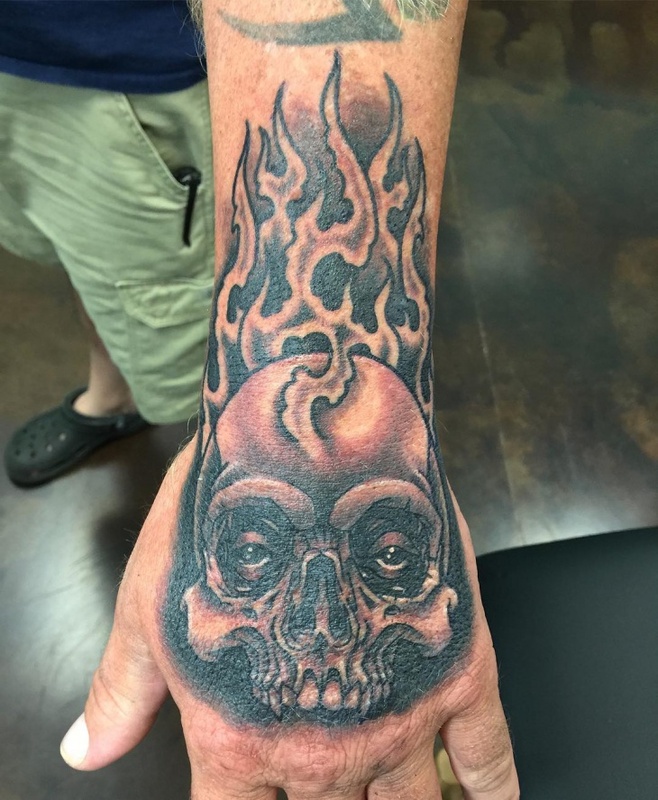 Flaming skull tattoo is popular even with celebrities such as Nicholas Cage. Both of the skull and flames symbolize death and complement each other well. Adding fire to a skull represents destruction, intimidation or carrying the soul to the afterlife. 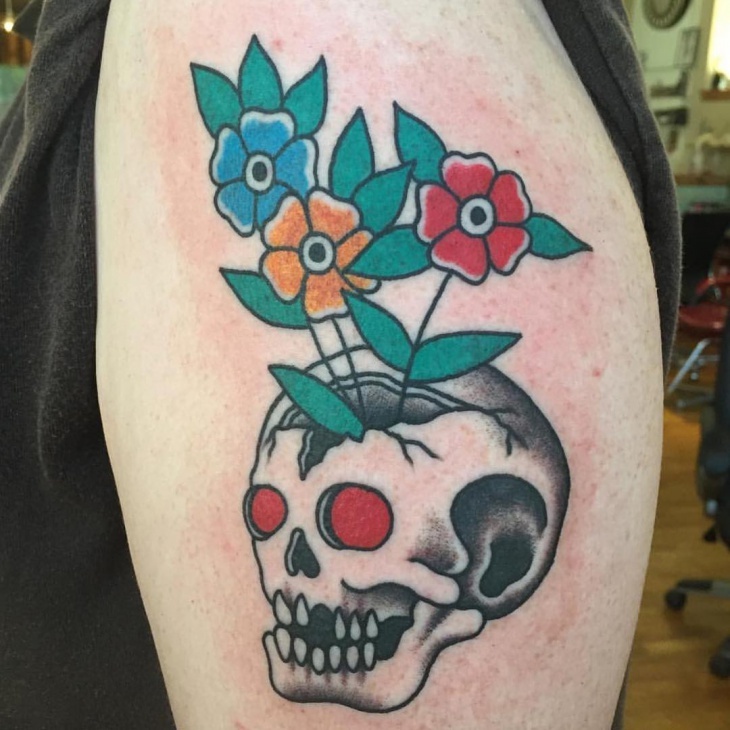 This tattoo also makes a perfect design as a reminder of death life stage. 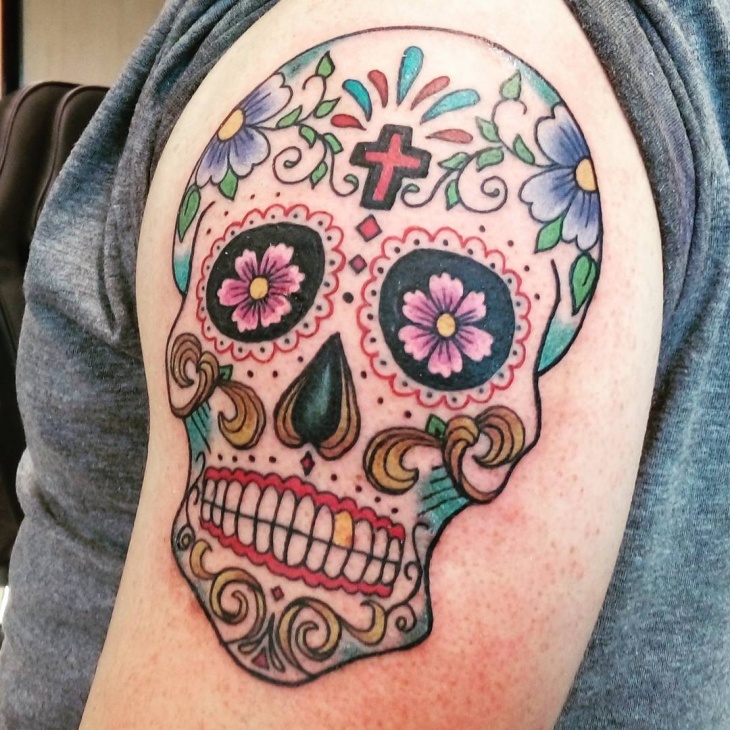 Traditional skull tattoo designs feature black ink and simple, bold outlines. 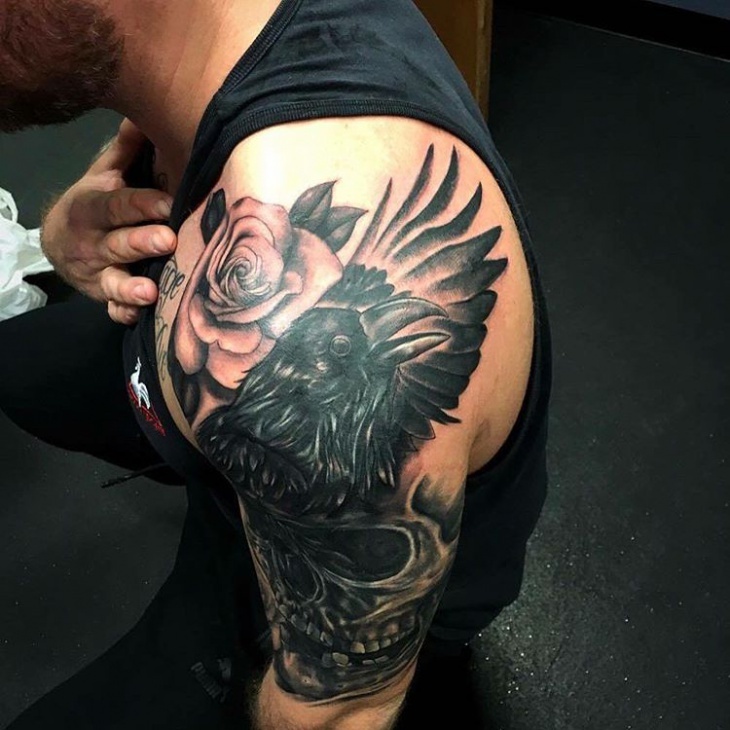 Since this type of tattoo is the standard reference from which artists add other elements, they tend to look good in both youngsters and mature people. From small to large designs on the back, you can choose any place to ink this type of tattoo. Trendy in the Japanese culture, dragon skull tattoo designs depicts wisdom, intelligence and natural life cycle. 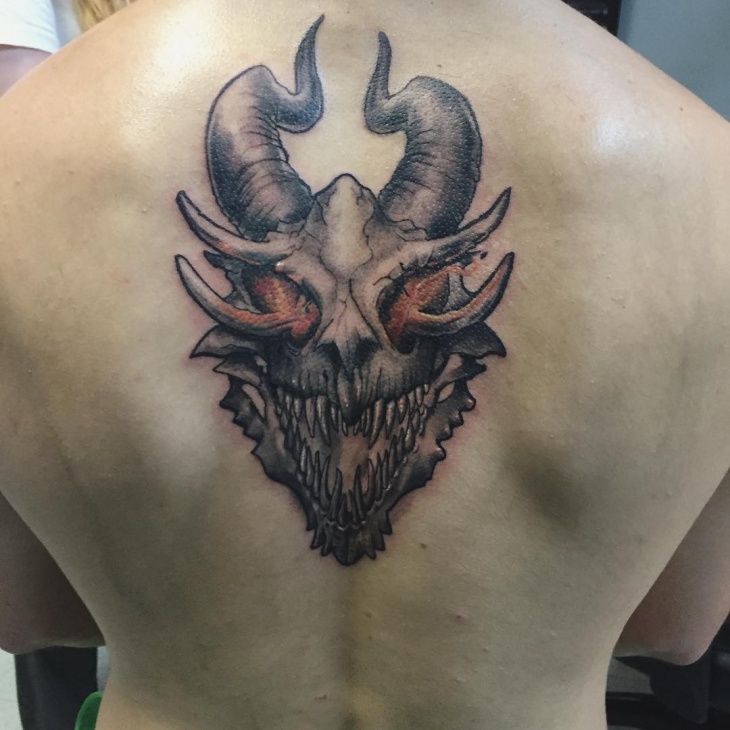 Adding a dragon to a skull also describes relief, abundance and getting away from negative thoughts. This mythical creature is also a master of all elements hence ink lovers can add on top of a skull to show power. 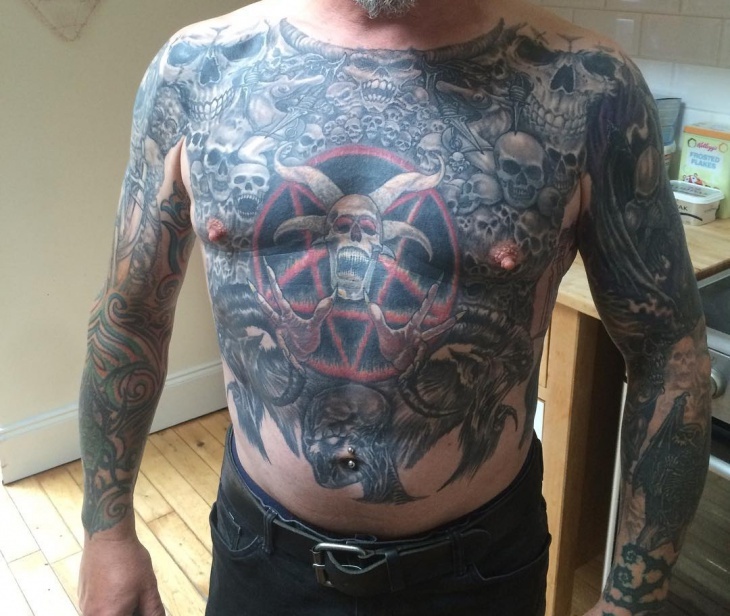 When it comes to choosing upper bodies tattoos, always ensure the ink art is big enough to fit the large size. 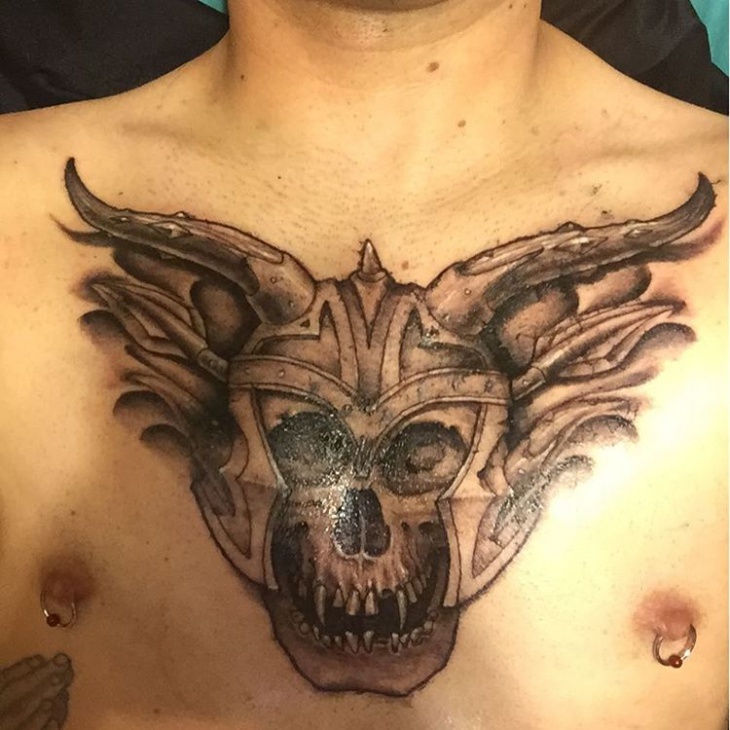 The chest is close to the heart hence getting a skull tattoo there shows pride. 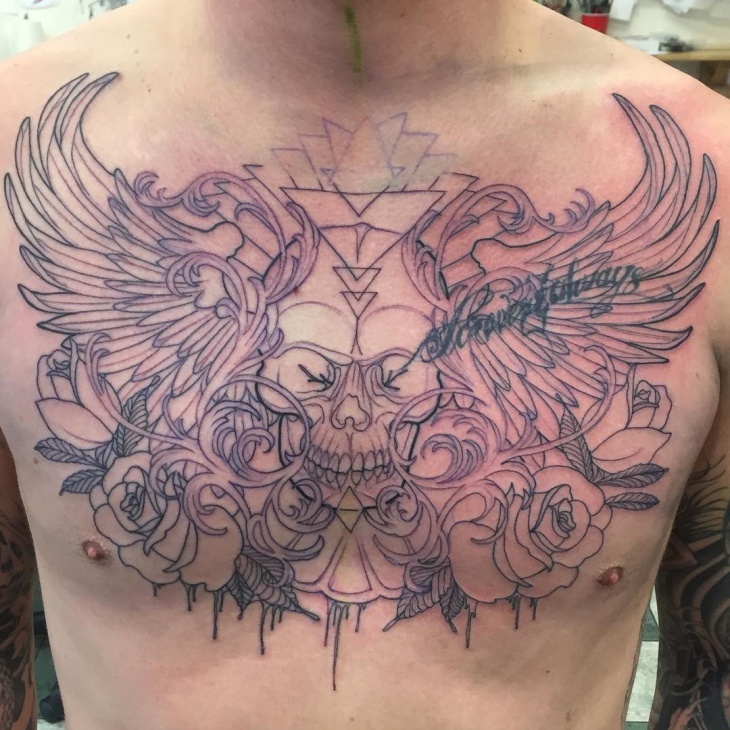 Add wings or a floral theme to complement the skull design as well to enhance the beauty of your chest. Most people often add vibrant colors to a skull to evade the scary or negative perspective associated with this symbol. While you are free to decorate your skull with any color, it is crucial to consider your skin tone so as to ensure your tattoo looks classy. Adding floral themes is the best way to give your skull subtle color. 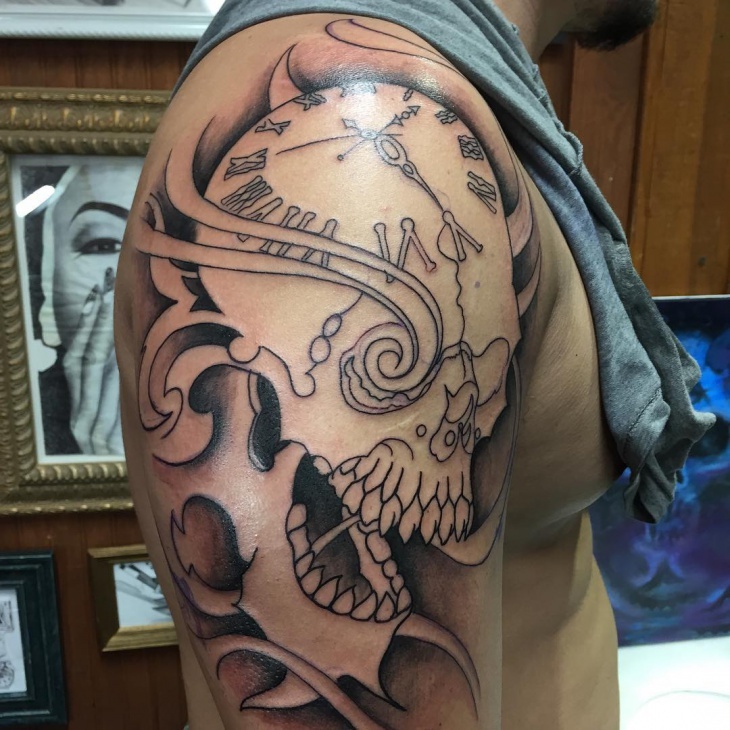 It is rare to find skull head tattoo designs; however, they are striking and have a symbolic meaning that relates to the wearer. 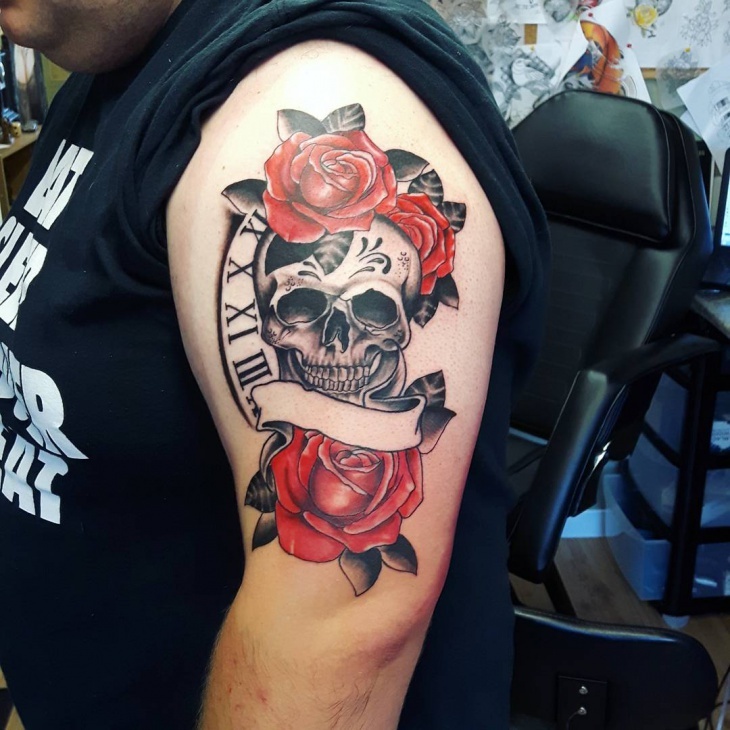 Going for dark shadings or adding other elements such as a clock further makes this type of tattoo unique and helps the skull tattoo to stand out. 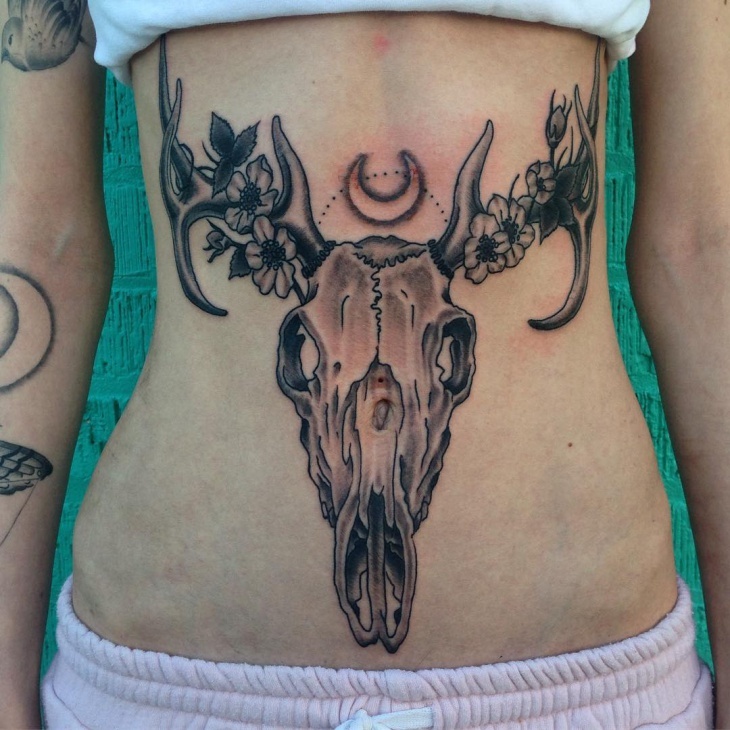 A cow skull tattoo design is visually eye-catching hence suitable for people with a fearless attitude. In Hindu culture, the cow is a holy creature loved due to its docile traits and represents oneness with nature, gentle spirit, provider and good fortune. 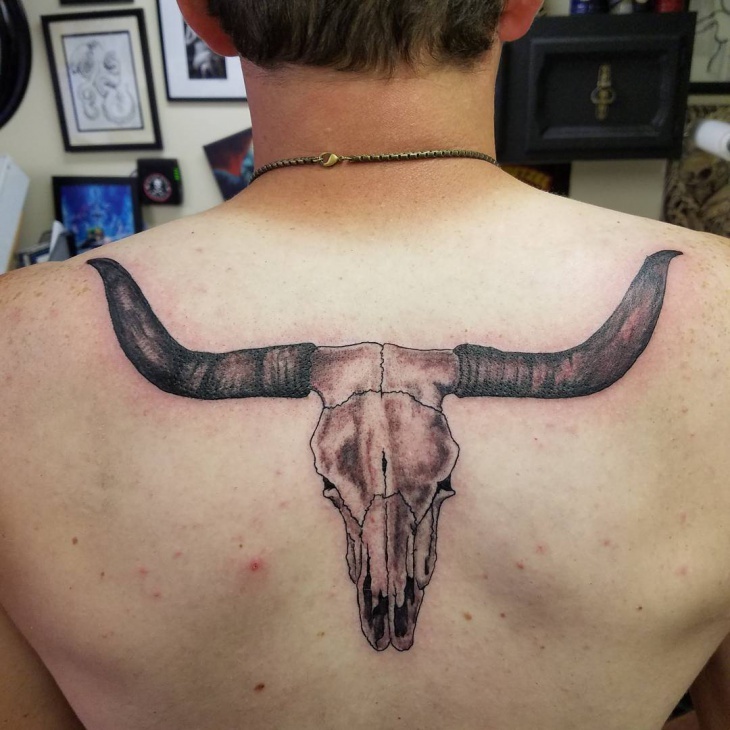 If you are a provider in your family, then a cow skull tattoo will highlight this trait. 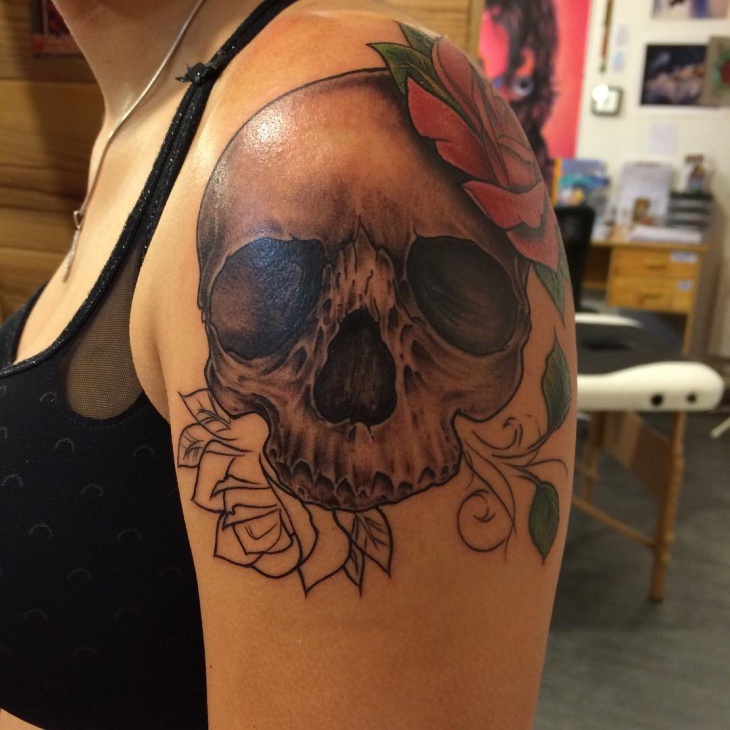 Skull tattoo designs generally portray death. People will go for this type of tattoo to remember a departed loved one, a dark past or that they have escaped death. 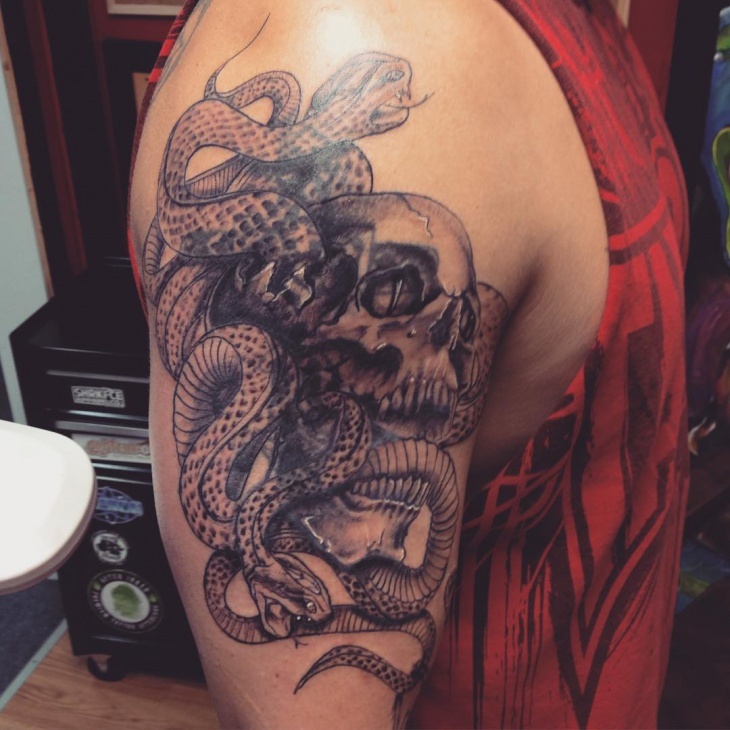 Other people select skull tattoo designs because of symbolic meanings that relate to culture. Different cultures such as Indians, Native Americans, Japanese and Mexican associate a skull with distinctive meanings such as courage, power and success especially for individuals who play poker or go to casinos. 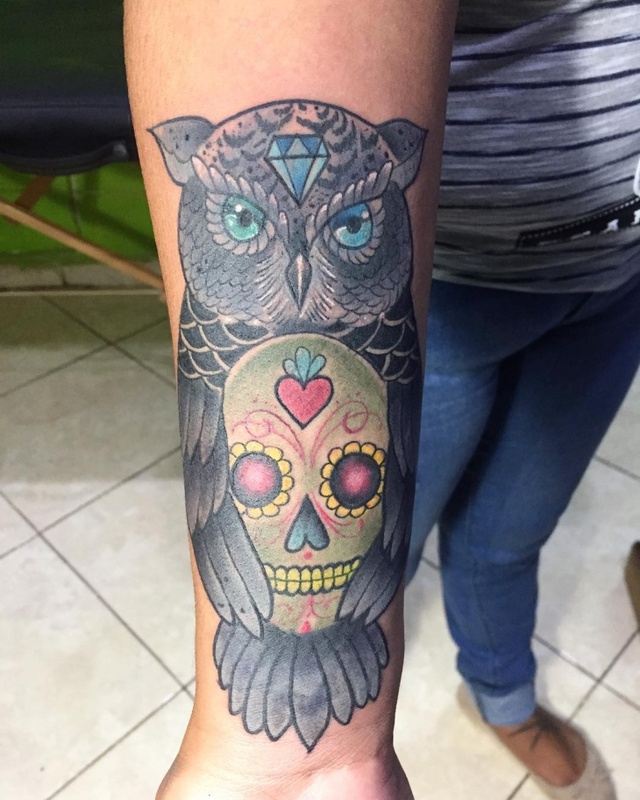 Skull tattoo designs look amazing in both girls and boys. 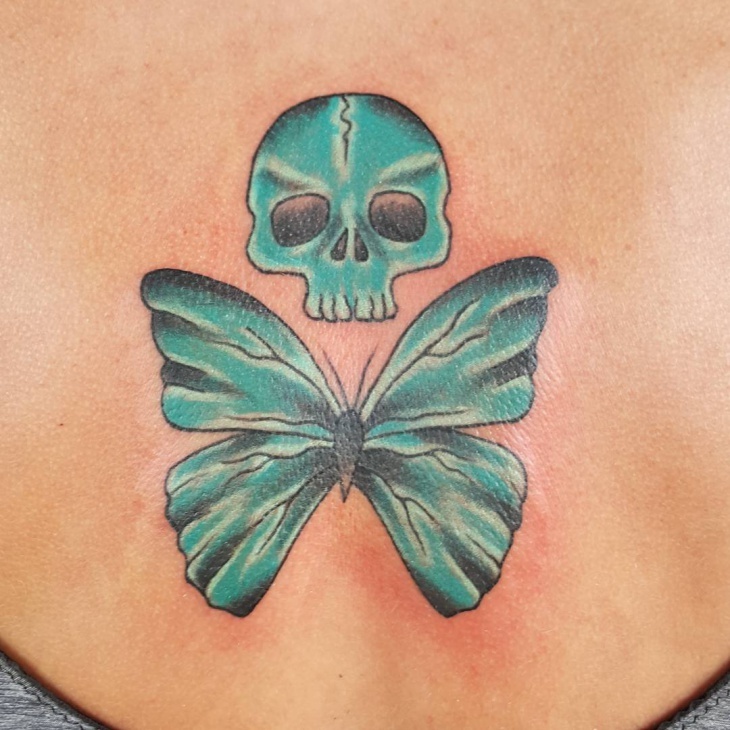 What differentiates the gender is that girly skull tattoos tend to incorporate feminine elements while men will often go for black skull ink art. 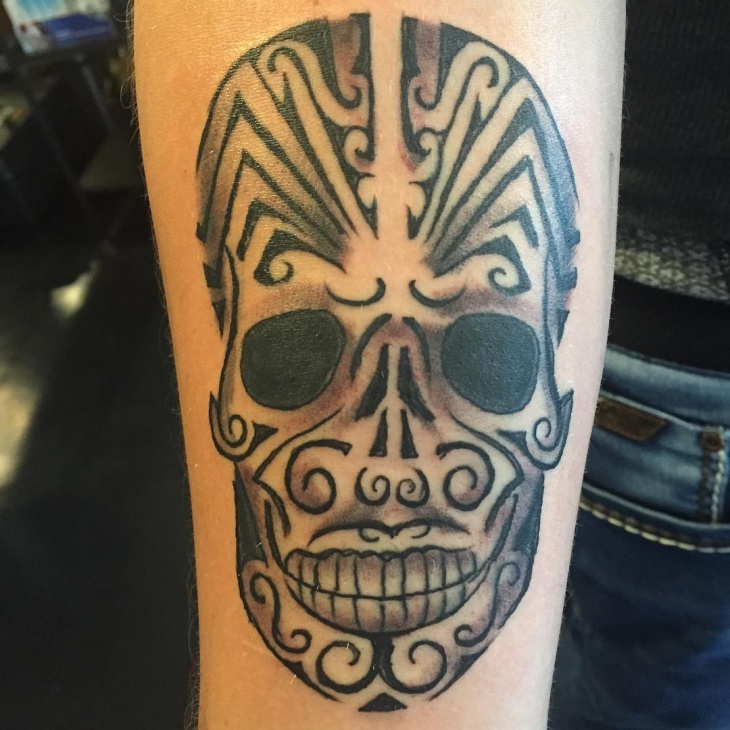 With many positive symbolic meaning and culture relations, go for a skull tattoo that reflects your life experiences.